DiCaprio started his career by appearing in television commercials prior to landing recurring roles in TV series such as the soap opera Santa Barbara and the sitcom Growing Pains in the early 1990s. He made his film debut in the comedic sci-fi horror film Critters 3 (1991) and received first notable critical praise for his performance in This Boy’s Life (1993). 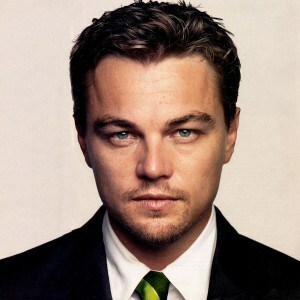 DiCaprio obtained recognition for his subsequent work in supporting roles in What’s Eating Gilbert Grape (1993) and Marvin’s Room (1996), as well as leading roles in The Basketball Diaries (1995) and Romeo + Juliet (1996), before achieving international fame in James Cameron’s Titanic (1997). Daniel Wymbs: Most are great but Leonardo? I like the Beach & & ..
Michael Doherty (RTE Guide): Great as a kid (Gilbert Grape, etc); erratic since, as he struggled to shake off his Titanic image; but his performance in Gatsby returns him to the top. Film fan: The promise of his early performances has been slow to materialise. Sometimes a little forced in latter day roles but always charismatic. Film fan: Leonardo DiCaprio – gorgeous and favourite role “Titanic”.